A well-known astrophysicist and popular media commentator on space matters will raise the curtain on next February’s Dark Skies Festival organised by the North York Moors and Yorkshire Dales National Park Authorities. Tim O’Brien who is professor of astrophysics at the University of Manchester and associate director of the Jodrell Bank Centre for Astrophysics will shed light on some of the greatest cosmic curiosities at the opening event of the fourth annual Dark Skies Festival, which will run from February 15 to March 3. Speaking in the atmospheric stately home surroundings of Castle Howard, Prof O’Brien who makes regular appearances on BBC Radio Five Live and Breakfast TV, as well as having featured on Stargazing Live and Radio 4’s Life Scientific, will captivate an audience with his Our Place in the Universe talk. The Festival’s packed programme of events will then roll out over the fortnight with more than 100 events across the protected landscapes of both National Parks and the Howardian Hills and Nidderdale Areas of Outstanding Natural Beauty. Astronomers will take festival-goers on a guided tour of the galaxies, planets and constellations with stargazing sessions and astro parties at many beauty spots and historical sites including Bolton Castle, Malham Cove, Ryedale Folk Museum and Sutton Bank. Visitors can also enjoy the celestial celebration by learning astro photography skills or hurtling down Go Ape’s night zip wire at Dalby Forest, a new experience introduced for the first time during the 2018 Festival and which has since grown in popularity. Each National Park has three Dark Sky Discovery locations where skies are sufficiently dark to potentially view the Milky Way with the naked eye. 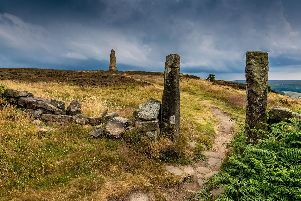 The North York Moors sites are at The Moors National Park Centre at Danby, Sutton Bank and Dalby Forest; The Yorkshire Dales Dark Sky Discovery locations are at Hawes, Malham and Buckden.